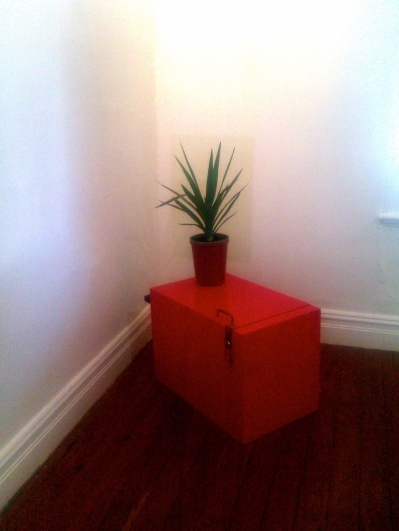 An object and audio arrangement in which I appeared to be speaking from within a red locker about my anxieties as a not-yet-emerging artist. 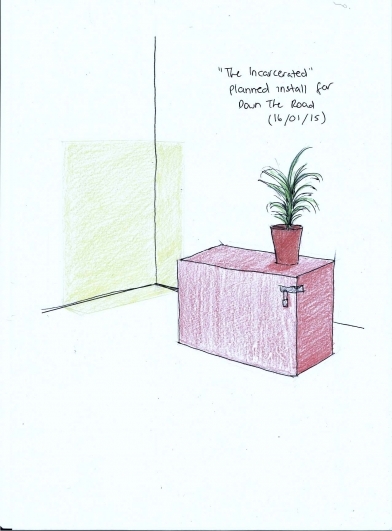 Exhibited as part of the Victoria Park Centre for the Arts' inaugural Down The Road exhibition. From within a locker I had repainted and "borrowed" from Curtin University, a speaker played a pre-recorded monologue in which I reflected on my experience of being in art school. I spoke of my penchant for institutional critique, what I liked and disliked about being a student, and my increasing suspicion that I had become something of a content prisoner, reaching the end of my sentence yet not exactly ready to leave. 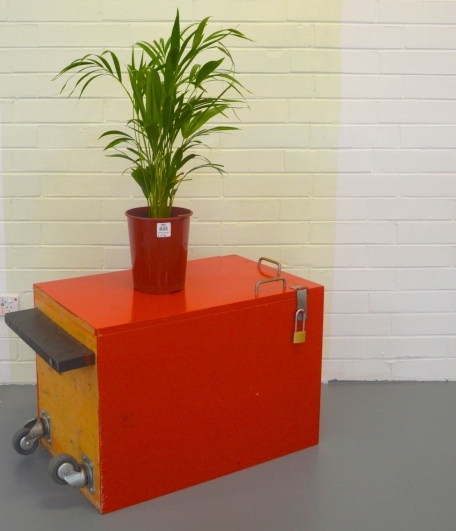 The pot plant was a representation of my "green-ness", a living entity that had to be tended to throughout the exhibition. The Micronational paint also made an appearance on the wall behind the locker, as if I were latching on to the space around me. Thank you to the Victoria Park Centre for the Arts.